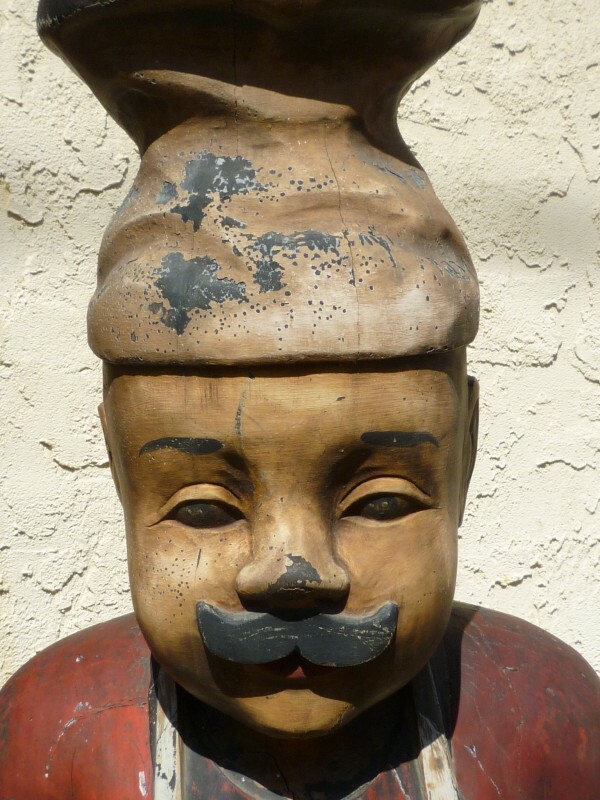 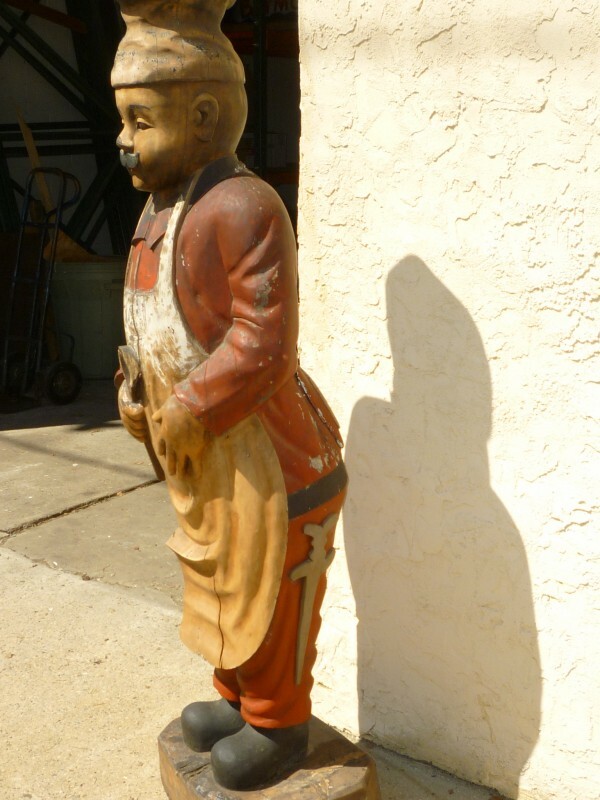 Turn of the Century folk art sculpture carved show figure in the likeness of a cook. 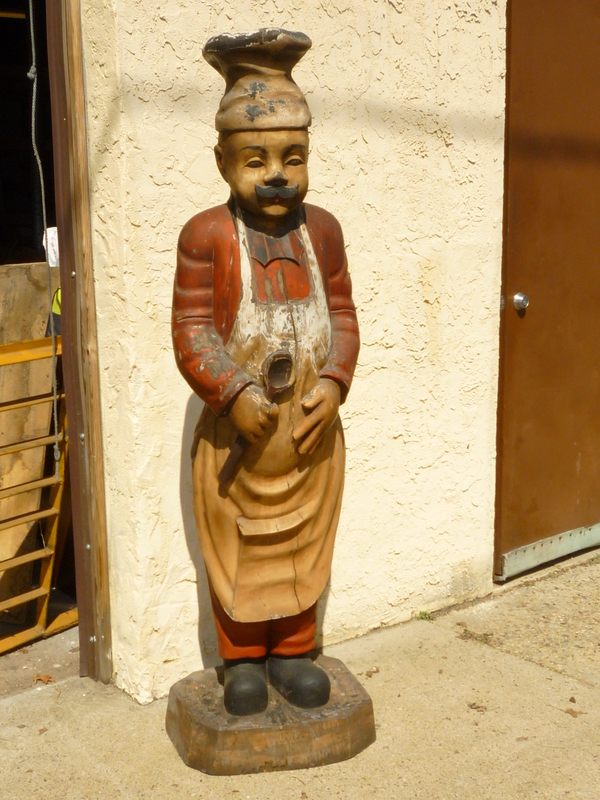 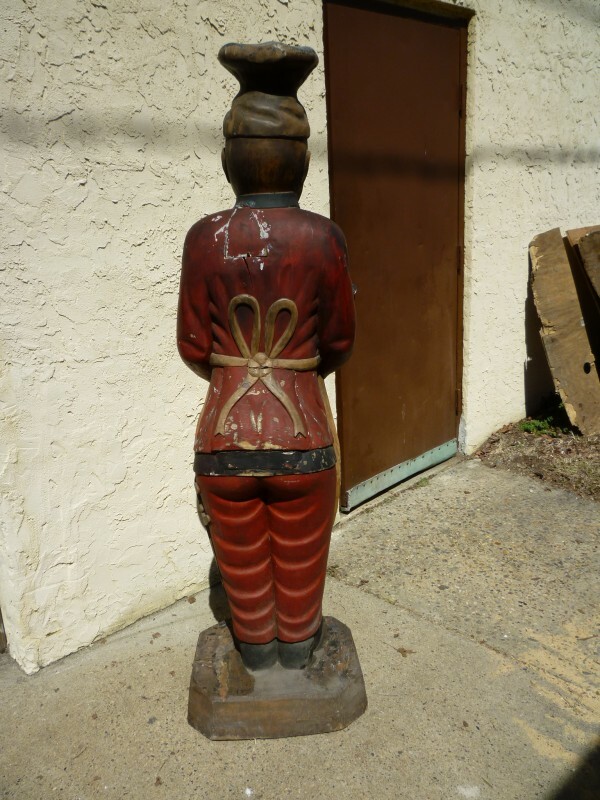 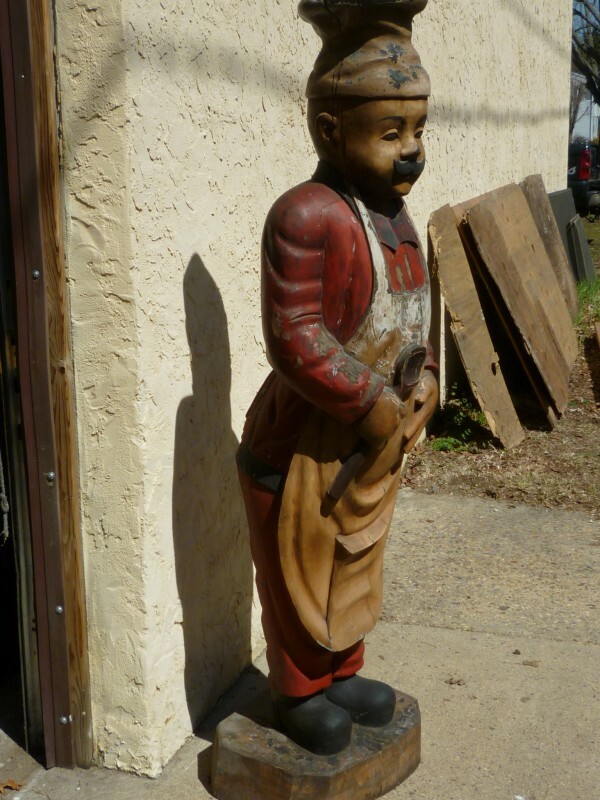 Excellent early example of a carved figure that stood at the entrance of a New England candy store. 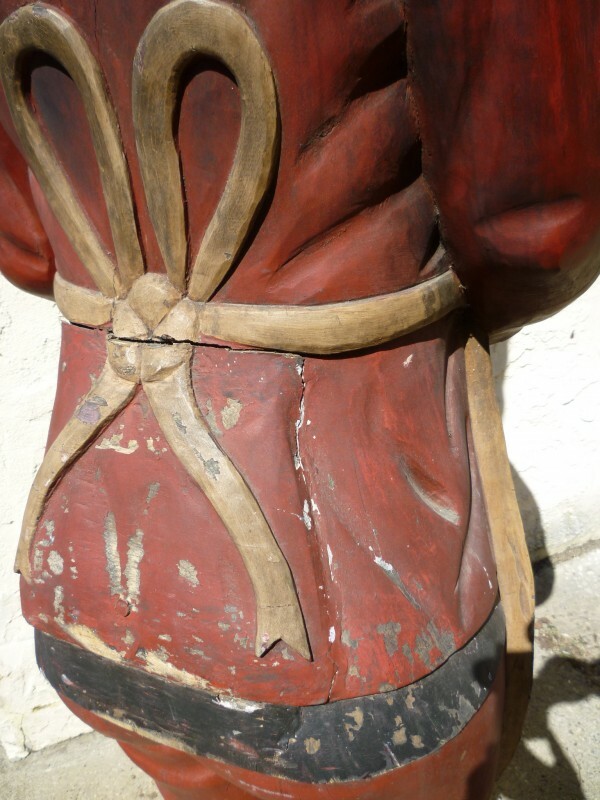 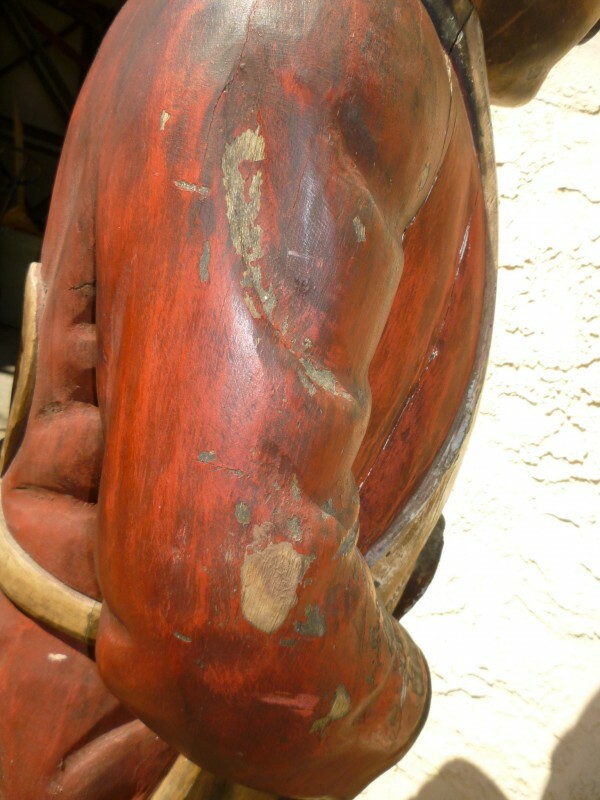 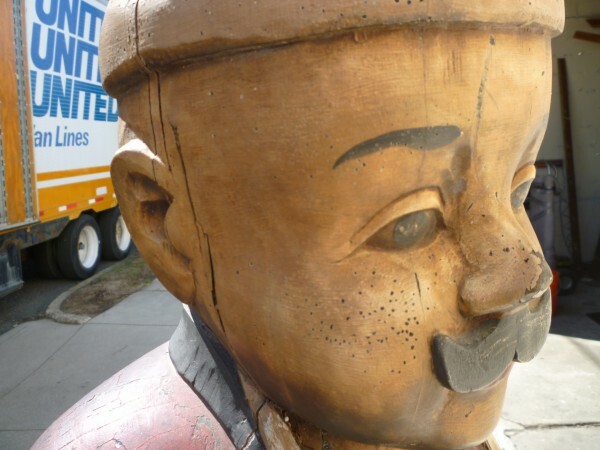 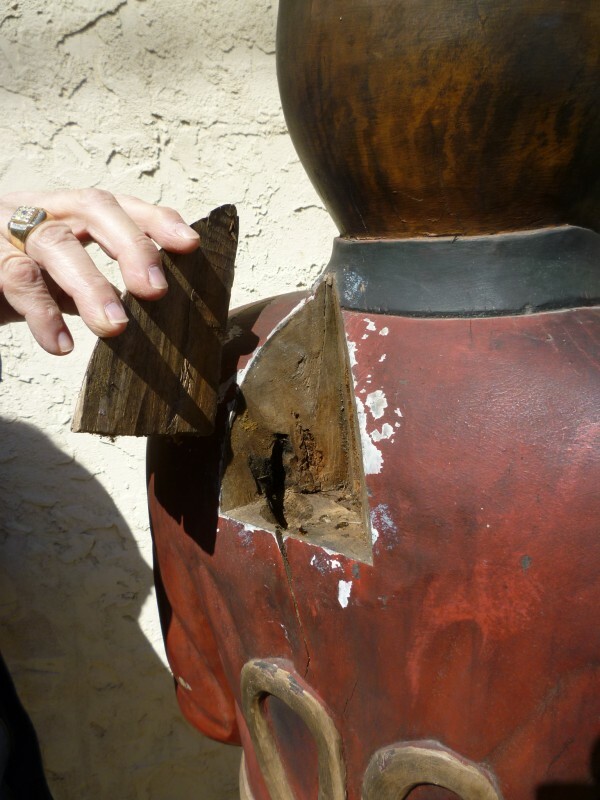 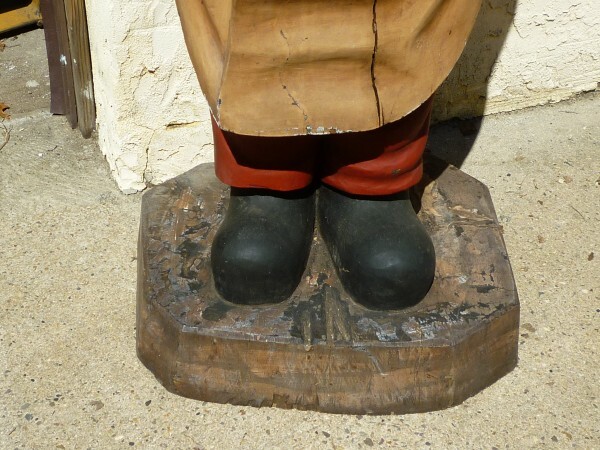 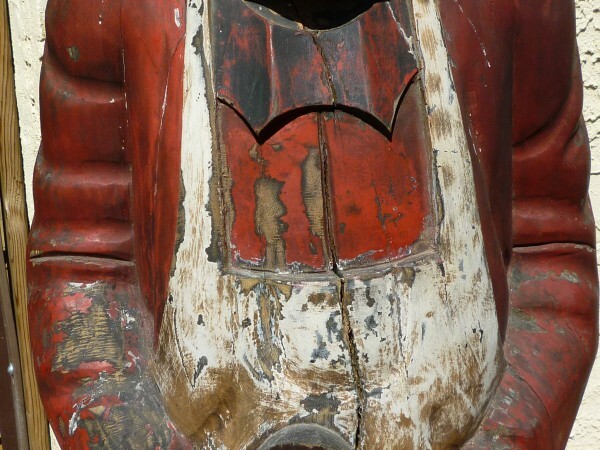 Has oil hole on back side as most older carved figures, including the Cigar Store Indian’s, had. 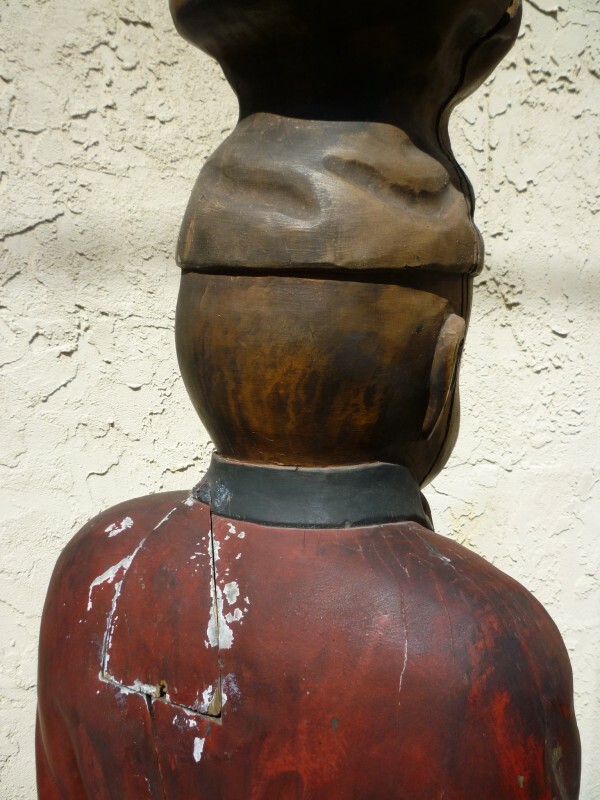 Carver unknown but the quality is outstanding. 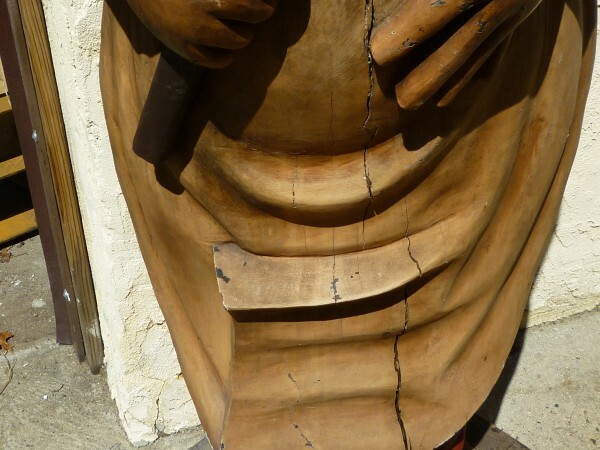 Some age cracks, with what looks to be original paint. 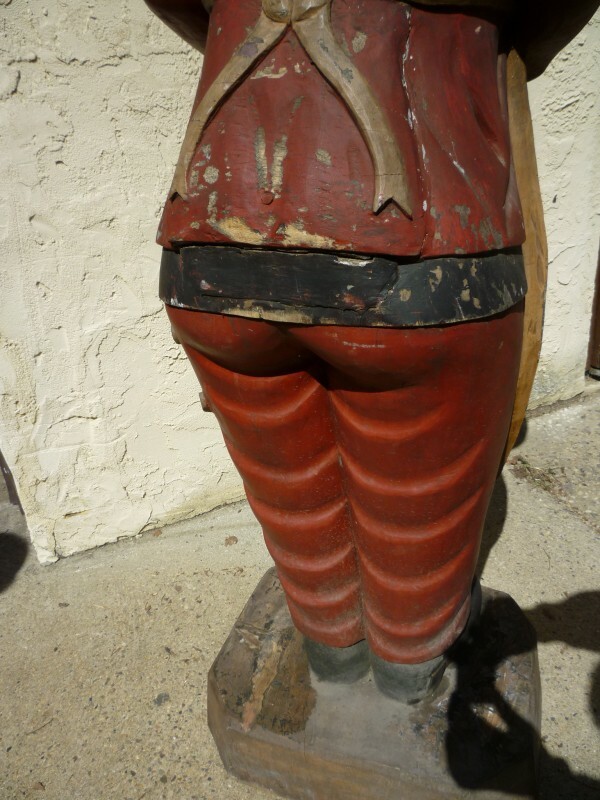 Make an appointment to get a better look………….